Glow have the pleasure in offering branded inflatable sports pitches made to any size with open entrances, arches and goals. Popular with youth and football clubs but also corporate events and family fun days. Branding is on to Velcro banners so can be removed and changed should you have new sponsors or want to promote a specific match or game. 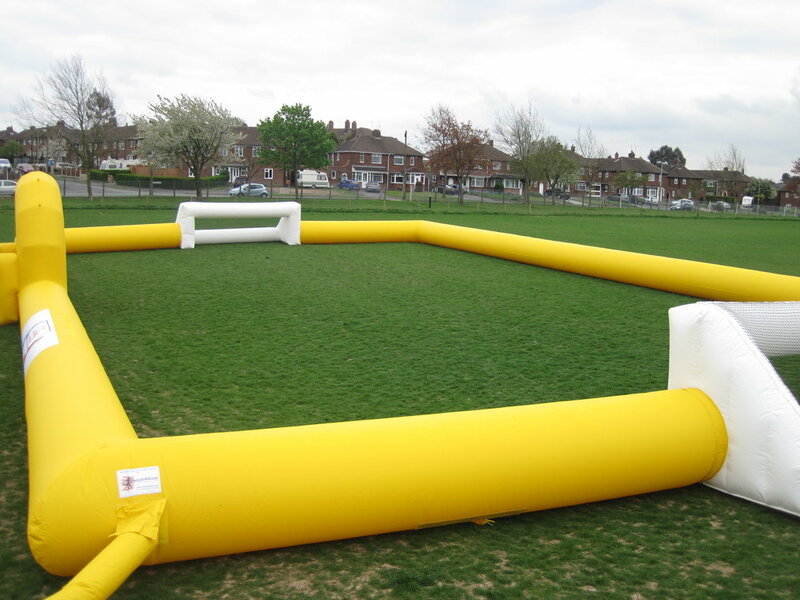 We can design the Inflatable pitches as a single tube barrier with integrated goals and entrance to the pitch, however should you want a custom inflatable design we can work with your brief to come up with an inflatable pitch that will work for your company or event. These inflatable pitches can be made as inflatable hockey pitches, inflatable football pitches or an inflatable zorb arena for bubble football. Glow can come out and give a full demonstration of how to use the pitch and advise on or supply ballasting such as ground stakes or sand bags. We ensure that all of our customers have a full understanding of how their inflatable sports arena needs to be treated, or if preferred we can offer a fully managed event service where we set up the inflatable pitch for you and store in between events.